Christmas is fast approaching and if you are a forward-thinking parent, now would be the right time to start thinking which gifts to give to your child. If you are planning to give a toy, make sure that it's something that complements the child's interests or hobbies. 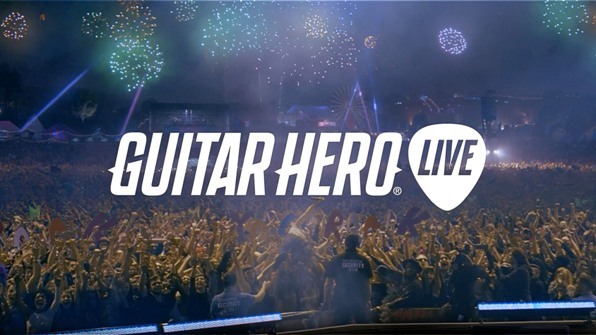 With that said, if your child loves music, the perfect gift to give him or her would be Guitar Hero Live, a video game that is scheduled to be released this coming October. A reboot of the successful Guitar Hero franchise, this game comes with better graphics, a more interactive gameplay, and a rewards system that enables players to unlock new content. What Are The Main Features Of Guitar Hero Live? 1) An improved guitar-shaped controller that has six buttons instead of five. 2) The game is still playable without a console because it will be available as an app to devices such as the iPhone, iPad, and Apple TV. 3) It has a soundtrack list featuring songs from both popular and upcoming bands and artists. 4) It has its own music video network. 5) It has a first-person view which makes the game very realistic. 6) You can play and compete with other players from all over the world. The controller has been significantly upgraded compared to previous versions. For one, it now has six buttons instead of just five. The layout of the buttons has also been streamlined which means switching between strings feels more real and playing the chords is a lot easier. Furthermore, a tilt sensor has been installed into the controller, allowing the player to activate Hero Power functions. As of this writing, there are dozens of tracks that have been confirmed to be featured in the video game these. These include songs from popular artists like Green Day, Carrie Underwood, Bob Dylan, Rage Against The Machine, The Killers, One Republic, The Black Keys, Ed Sheeran, Pearl Jam, and Paramore. All of these tracks are playable either through the single player mode or through Guitar Hero TV. GHTV broadcasts and endless stream of music videos wherein you and your guitar are the stars. Hundreds of songs have already been penciled to appear in the channel. You also have the option to choose which songs to watch and play because these are compartmentalized with live live channels. This mode allows a player to connect and compete with players from anywhere in the world who has also purchased the game. As you improve your skill level with the guitar controller, your competition also gets harder. If you are able to progress through most if not all of the levels, you will make it to the leaderboards featuring the best players in the game. Is Guitar Hero Live A Good Choice For Your Child? The answer is a resounding yes. Guitar Hero Live is a very interactive video game that will develop your child's creative side especially if he or she loves music. The competitive aspect of the game also encourages your child to aspire and become better than everyone else. It nurtures the virtues of patience, determination, and dedication. What Do Others Think About Guitar Hero Live? The game has undergone several beta tests wherein players were invited to test out the game. So far, the reception has been all positive. The consensus is that it's a great improvement compared to previous versions of the game. Guitar Hero Live is a game that would make for a perfect Christmas gift to a music-loving child. It has tons of features that will help develop the child's musical skills. And most important of all, it's a fun and interactive game.